Born and raised in Baltimore, Maryland, Mr. Weingroff has a Bachelor's degree in English from the University of Maryland. After graduation in 1968, he entered the U.S. Air Force, serving at Lackland Air Force Base in San Antonio, Texas, from 1968 to 1972. He was an instructor in the "Proficiency Reading School," an extension of the Jobs Corps designed to teach reading skills to basic trainees so they would be able to succeed in technical training schools. 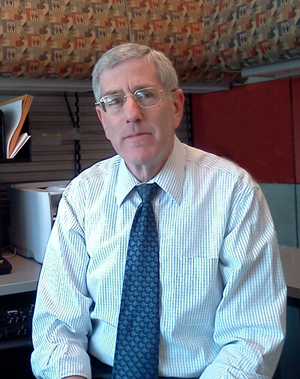 He joined the Federal Highway Administration (FHWA) in 1973 as a Technical Correspondence Writer in the Office of Engineering. Over the years, Mr. Weingroff's primary work has involved preparing replies to the congressional, citizen, and other inquiries the FHWA receives. In addition, he has written articles and speeches for agency officials. In the 1980's, Mr. Weingroff decided to become FHWA's "unofficial historian," combining his longstanding interest in American history with his work. His mentor was unofficial historian Lee Mertz, a long-time urban planner and former Associate Administrator for Policy who was conducting a study of the history of the Interstate System prior to his retirement. Along the way, Mr. Weingroff has provided information to journalists, researchers, students, writers, and others who contacted the FHWA for information on the history of roads and the agency. He has also written articles on highway history for the agency's magazine, Public Roads, and a commemorative publication the agency released in 1996 (FHWA By Day: A Look at the History of the Federal Highway Administration). His articles are collected on the FHWA's Web Site at: https://www.fhwa.dot.gov/infrastructure/history.cfm. In 2017, FHWA designated him the agency's official historian.